When building the ribs I tried using staples to hold the 1/16" plywood gussets on, but I did not like the way it looked after I removed the staples. I’m too cheap to buy a bunch of clamps so here is what I am doing. 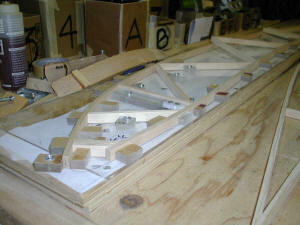 I glue the rib together without the plywood gussets. Let it dry for about 12 hours, and then I carefully remove it from the jig. 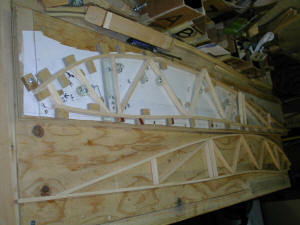 With it out of the jig, I glue on the plywood on one side of the rib. 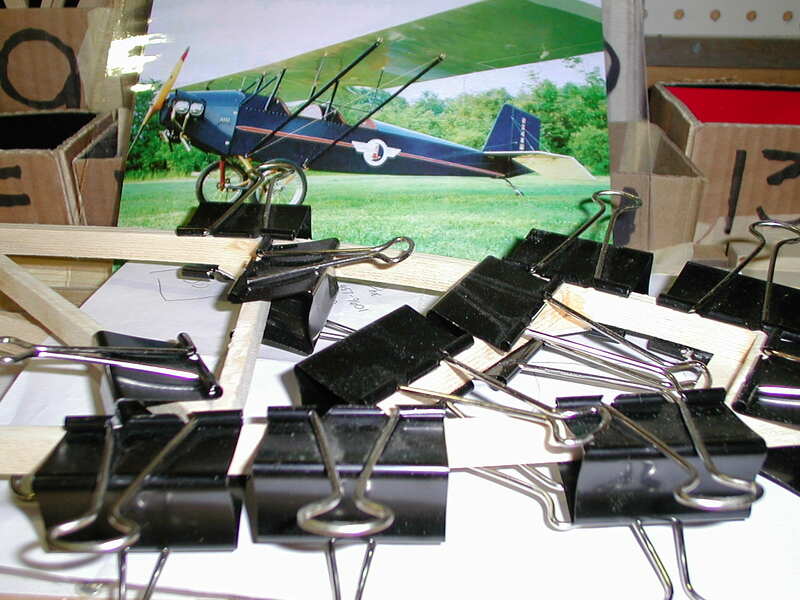 To hold the plywood while it is drying, I use "Large Binder clips" that I purchased at the local office supply. 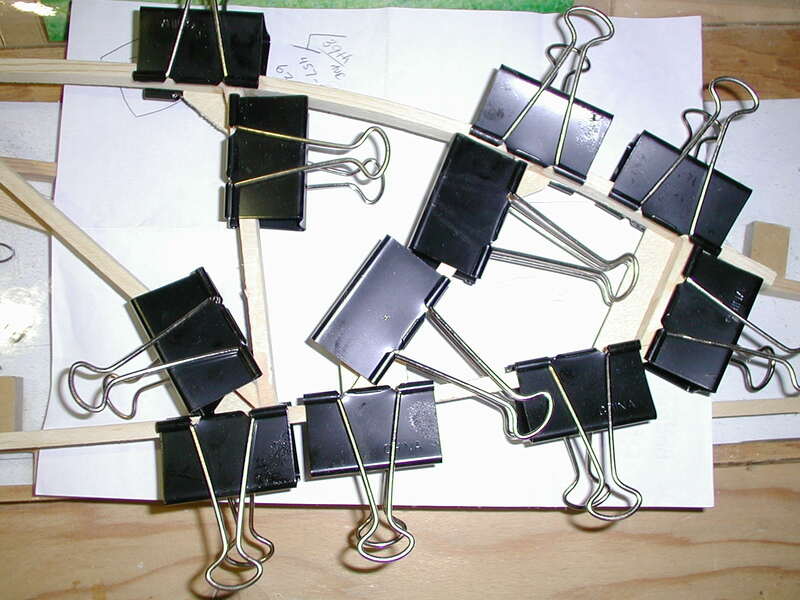 They have a 1" capacity and are CHEAP compared to real clamps (5 dollars for 12 binder clips). They work great with the T-88 epoxy I am using. 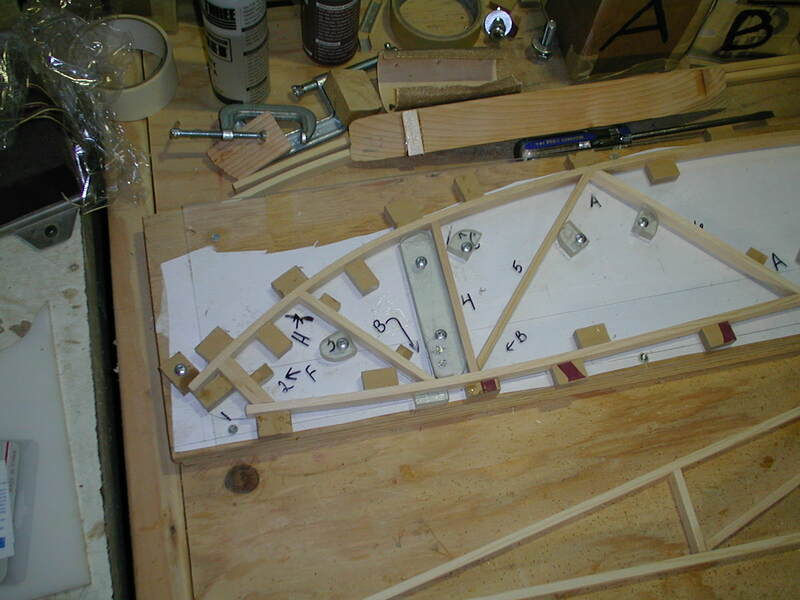 I can now produce great looking ribs with no holes in the plywood, I don't have to waste and remove staples and my jig looks as nice as the day I built it.